This has been an interesting year for me, not the least of because I spent half of it working on my first major nonfiction book, Write! Shonen Manga. Now, I normally read a lot of manga, and am always looking for new series to check out, but because of the research I was doing I really doubled down on trying new series that might not have appealed to me in the past. As a result, I found quite a few interesting titles, and I thought I’d share some of these gems with you all. The main rule in selecting these titles was that they’re ones I started to read in 2017, although most of them also started in 2017 as well, so it works either way. Therefore, my favorite books like One Piece, One-Punch Man and Duopo Cangqiong aren’t listed because they’re books I’ve enjoyed for some time. 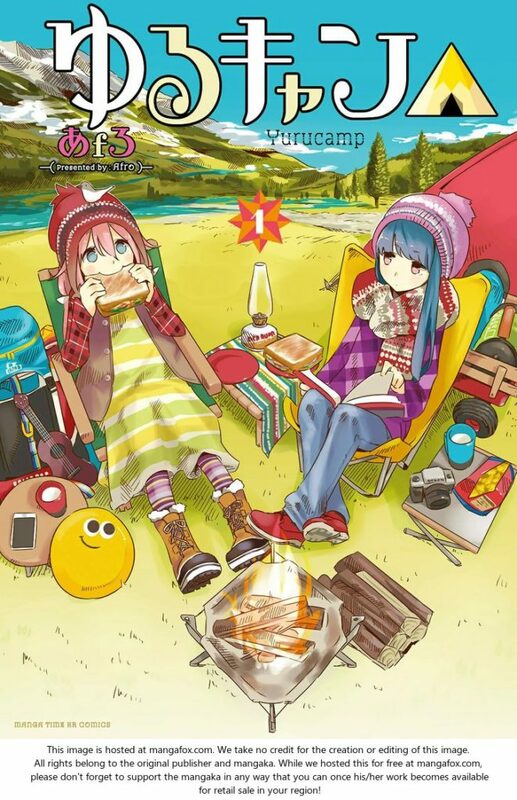 Summary: Rin, a girl camping by herself at the base of Mt. Fuji. Nadeshiko, a girl who came to see Mt. Fuji on her bicycle. The scenery the two witness over a supper of cup ramen… marks the start of a new friendship and many adventures to come, camping in the great outdoors! This comic about off-season camping in Japan fascinated me to no end. It breaks almost every western rule of storytelling, yet is charming and compelling and I can’t help smiling whenever a new chapter of this monthly series drops. It’s a perfect example of what I call an Activity Manga, which is designed to teach the audience about a subject in an interesting way. It actually makes me want to try camping for the first time in my life! 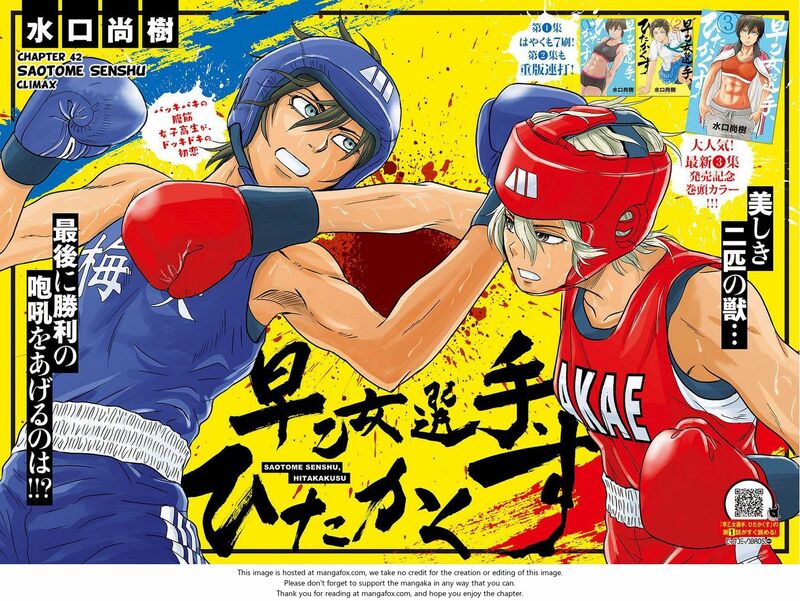 Summary: High-Schooler Tsukishima Satoru gets confessed to by local female High-School boxing-talent Saotome Yae. He rejects her initially because he does not want to impede her boxing career (and prevent getting beaten up by her fans). Her female coach, Shioya, hears about this and decides to install him as Saotome’s trainer so that they can secretly date each other. This situation is also aided by his extensive boxing knowledge. This looks like a sports manga, but in reality it’s a romantic slice of life story about a nerdy high-schooler and the school’s female boxing champion. While it comes across initially as a gender-swapped high school romance, it actually becomes quite charming and touching as it goes on. The tone is optimistic and the characters are likeable enough to carry this very plot-light story. Summary: Two friends find themselves in a post-apocalyptic world: most humans have been turned into stone.They will have to manage to survive and get a cure for this phenomenon! This was one of my surprise favorites of the year, and thanks to a slow start I almost gave up on it, but boy am I glad I didn’t! Artist Boichi has been a longtime favorite of mine, and with this tale of rebuilding civilization he’s finally found a true venue to show off his talent. Super lively and interesting, once it hits it’s second major story arc, this book never fails to entertain. 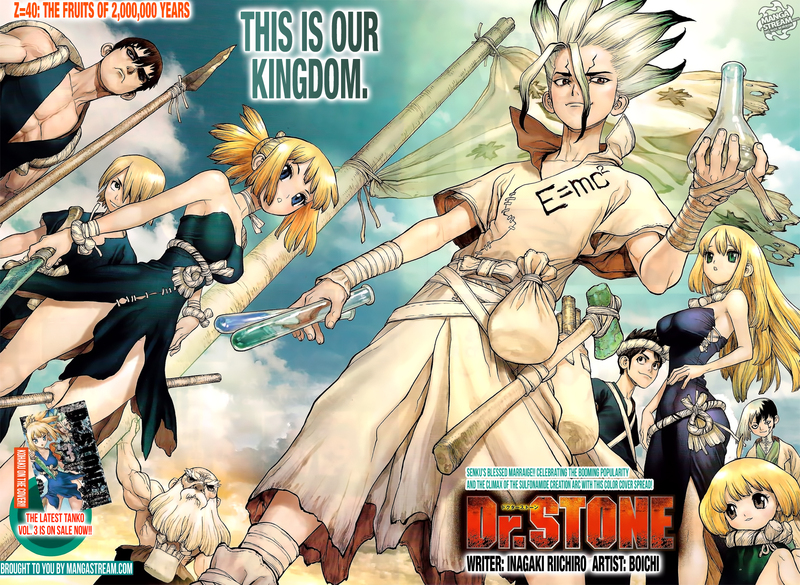 Senku is the coolest scientist hero I’ve seen in a very long time, and when I think about it, when was the last time you saw a real scientist as a hero in a post apocalyptic actioner? If you can’t think of one, read this book now! Summary: Set 30,000 years ago, a tribe of cro-magnon people face the challenges of life in the stone age. This one squeaked in, as I only started to read it last week, but it immediately became a favorite. 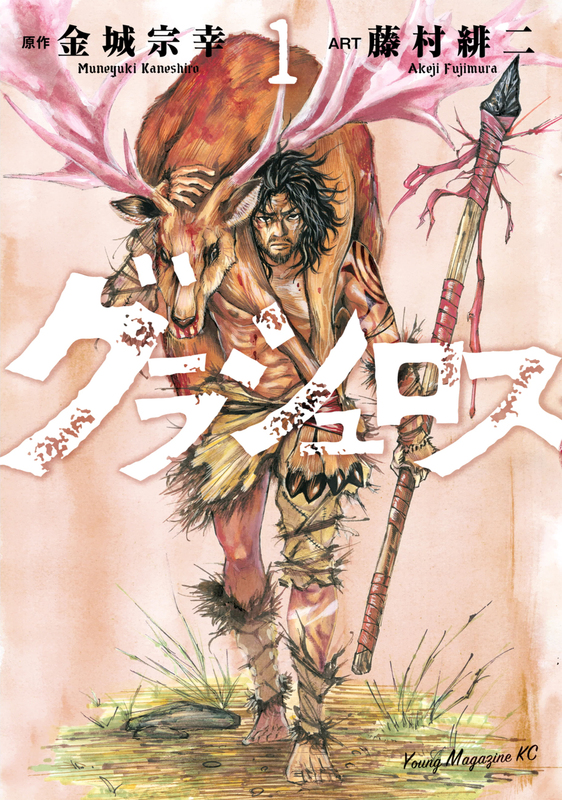 I’ve never been fond of caveman stories, but this one is so well told that even I can’t help but wish there were more chapters available right now! The Japanese never cease to amaze me with their ability to take stories that should be boring and give them an interesting twist. The gorgeous art doesn’t hurt either! Summary: He met a girl. A young girl branded with the mark of a demon. That was the beginning of everything. “Crap, my girl’s so cute” This is the story of the two who became an overly protective guardian and an adopted child, changing relationships, and watching how that relationship evolves. Despite the grand sounding title, this is actually a slice of life book about the warrior mage Dale and his adorable adopted daughter Latina. Latina is a member of the demon race, but Dale takes him into his home and she steals his heart and the hearts of everyone around her with her charm, including the readers. 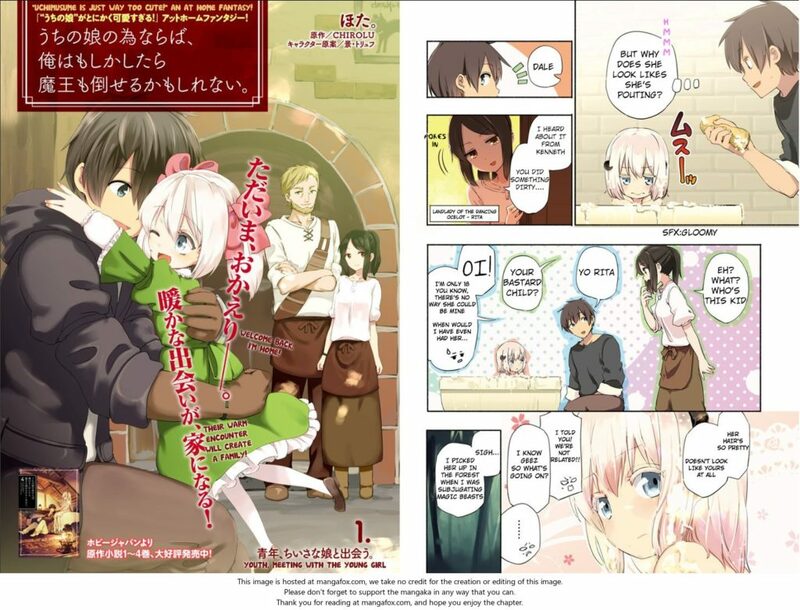 It’s based on a light novel series, and I enjoy it so much I’ve been tempted to start reading the novel as well. Summary: Roboto Hatohara (Roboto is the Japanese phonetic rendering of both Robert (his actual name) and the word robot in Japanese) is an autistic half-Japanese high schooler who discovers an incredible talent for golf that opens up a whole new world for the quiet youth. This one makes the honorable mentions list because while it wasn’t one of my favorites, I do enjoy it, and it is largely responsible for kickstarting my writing of my book on Shonen Manga. 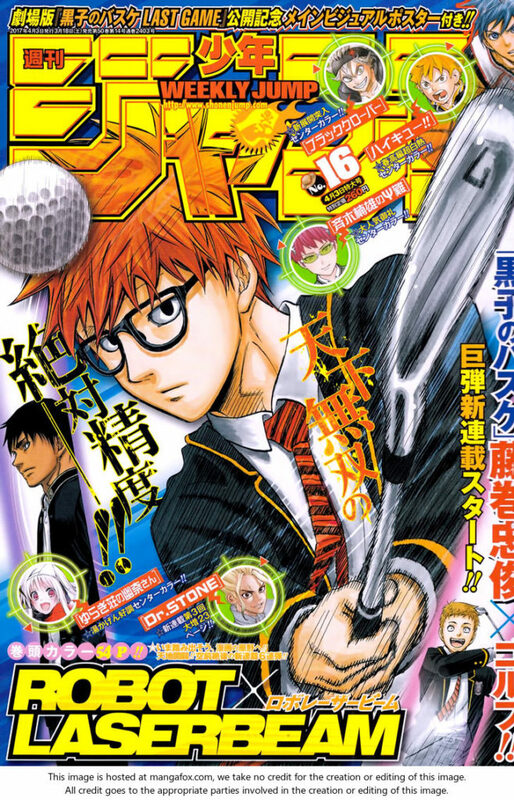 To be honest, I thought golf was super boring, but once I started reading this book I couldn’t stop, and it was that strange dissonance between loving a comic about a subject that I didn’t like that triggered my exploration into the secrets of manga writing. The characters are okay, but it’s told with enough style and kinetic energy that you get swept along on Roboto’s journey whether you want to or not. The power of a well told tale indeed! And, that’s it for 2017! There were a few others I almost put on the list, like Honzuki no Gekokujo, but in the end I decided to just stick with the ones which I enjoyed the most. They’re a varied bunch, and I heartily recommend checking out each of them. But be careful of doing it before bed, you might just see the sun rise before you stop reading! Happy New Year! And here’s to the manga and adventures of 2018! This entry was posted in Recommended Reading, Reviews, Write! Shonen Manga Materials and tagged 2017, Comics, manga, Reviews by UltraRob. Bookmark the permalink.